We have seen lots of protective cases for iPhone 6/6 Plus, but if you’re a fan of superheroes, the following iPhone case Superhero’s symbol may be more suitable for you. This is a superhero themed protective case designed for iPhone 6/6 Plus. 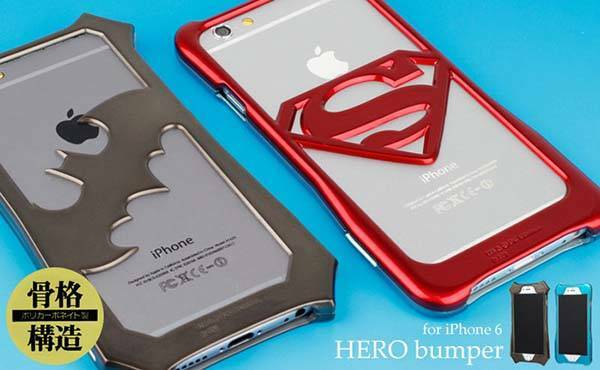 The case comes in two models, each one is based on a famous superhero including Batman and Superman. 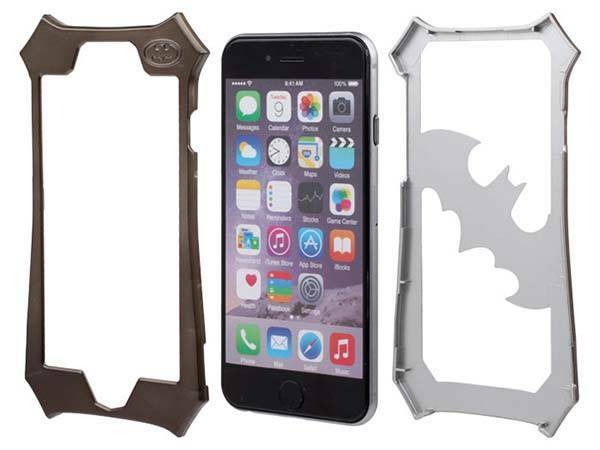 Both the iPhone 6 case and iPhone 6 Plus case features an easy-to-assemble two-piece design and the back piece boasts a refined Batman or Superman’s symbol that pays your reflects to the superhero. The case is made of durable polycarbonate to protect your handset from bumps and scratches, and its metallic coating delivers a stylish and premium feeling. In addition, all iPhone buttons and port are accessible via custom openings. Each of the Superman and Batman themed iPhone cases costs $22 USD. If you like them, jump to Strapya World for more details. Additionally, if you want other options, you may like to check Batmobile iPhone 6 case and more by following tags.